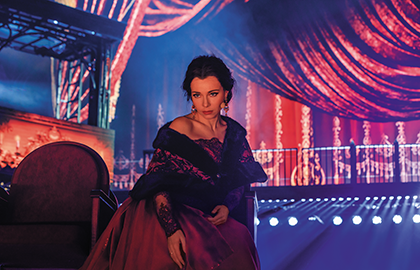 From the creators of Russia’s best-selling musicals Count Orlov and Monte Cristo - Anna Karenina, a big new production! Breathtaking love story. Best artists in the genre. Outstanding vocals. Effective choreography. Striking music. Live orchestra. Spectacular multimedia design. 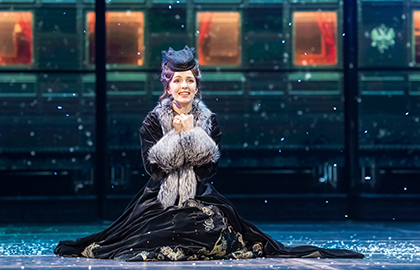 Anna Karenina brings it all together to create a dazzling high-tech show with a rich atmosphere of the 19th century glitter and luxury. Featuring Moscow musical scene stars Ekaterina Guseva, Dmitry Ermak, Valerie Lanskaya, Natalia Bystrova, Sergey Lee, Alexander Marakulin, Andrey Birin, Igor Balalaev, Lika Rulla, and others. Anna Karenina is a classic literature masterpiece about a man and a woman. 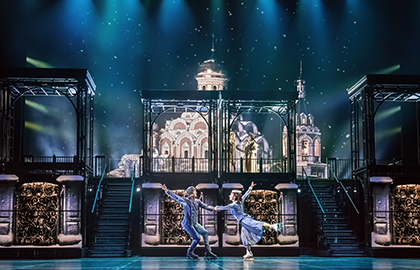 The dramatic love story between a married lady Anna Karenina and a dashing military officer Alexey Vronskytakes place amidst the glitter and luxury of the Russian nobility in the second half of the 19th century. The musical’s protagonists struggle with overwhelming and controversial feelings - love and betrayal, passion and duty, hope and desperation. 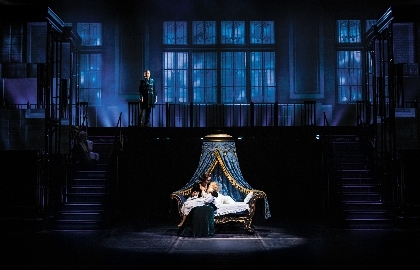 Although almost a century and a half has passed since the time of the story, the events unfolding before the audience are gripping and touching in their timeless quality. 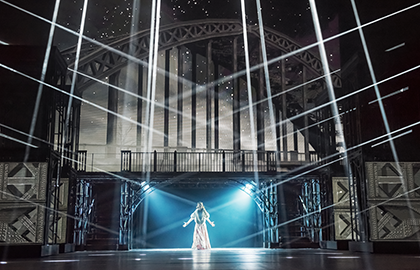 Newest multimedia technologies put the audience in the middle of the action - nine moving screens, multi-ton metal construction, and hundreds of lighting units combine to produce a true set of the future with large-as-life spectator immersion. 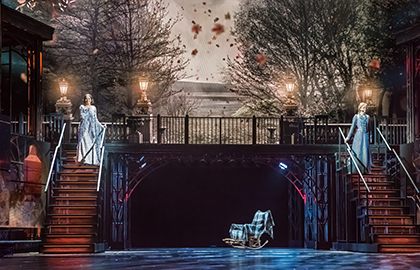 Anna Karenina premiered on 8 October 2016.